The locomotive arrived today for work in SDR Engineering. 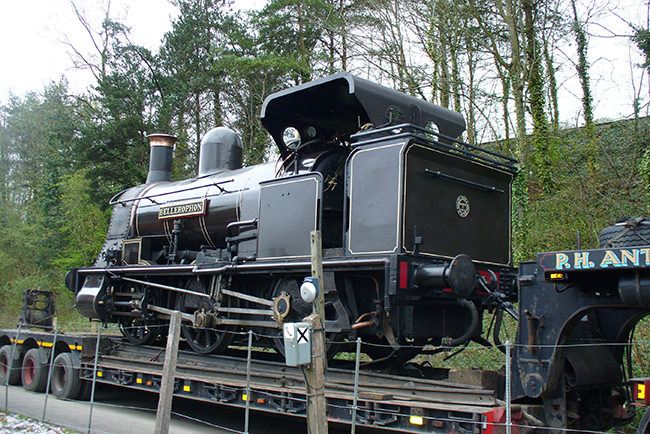 It was unloaded before the first service train left, and was towed through the loop at Buckfastleigh before being shunted into the workshop. 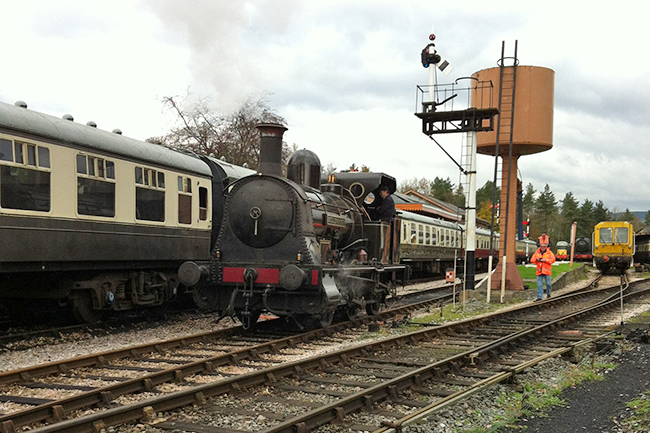 The locomotive is owned by the Vintage Carriages Trust, and is normally based at the Foxfield Railway. 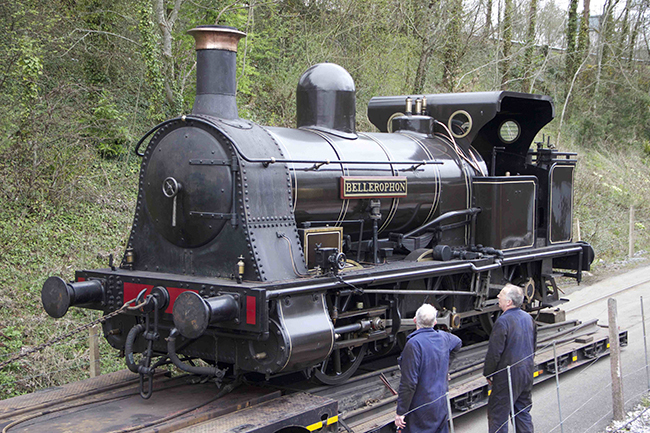 One of the reasons for Bellerophon’s visit to South Devon Railway Engineering was for attention to its wheelsets. 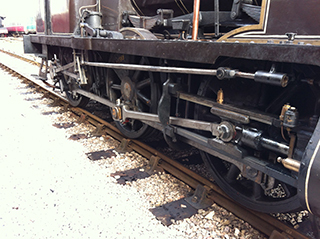 On 15th September 2013 a new axle is seen having recently arrived from the NC machinists. Note the journals are concave which saves the engine having to have thrust bearings to take the latteral loading. All the wheels back where they should be. 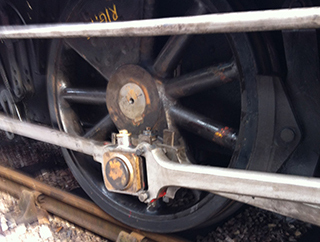 Detail of the centre wheelset with new axle. 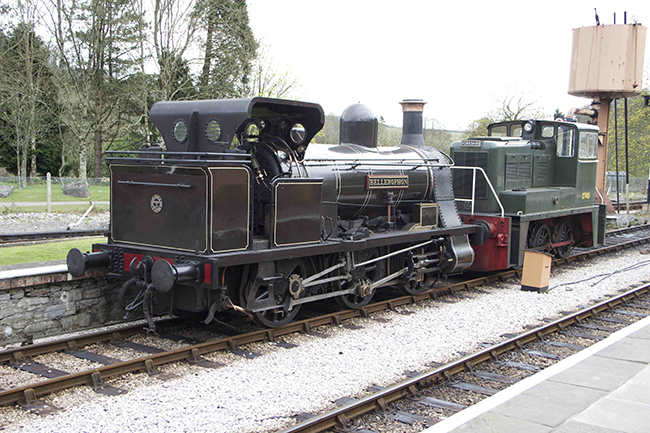 Today, 21stNovember 2013, saw Bellerophon return to steam and run, under its own power, within station limits at Buckfastleigh. 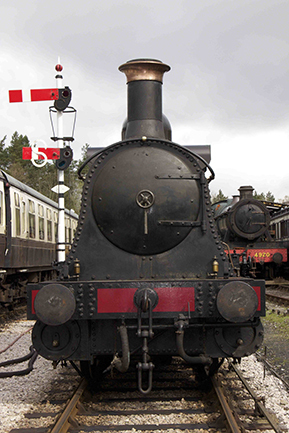 Bellerphon had come to works to have its wheels attended to particularly a issue with the centre driver. Investigation shewed this needed a new axle and so one was machined (see photograph above) by an external NC company due to the concave journals.